to M.J. Winkler Productions - a distributor in New York. with the episode "Old School Training." Dante Basco supplies the voice for Jake Long. credits also include the episodes "Secrets of Pirates Inn" and "Menace on the Mountain." While Walt is in New York, animator Ub Iwerks informs Roy O. Disney that he wishes to leave the Disney Company as soon as possible. Roy is stunned, but offers Ub $5,000 for his 20% share of the company. Unbeknownst to Roy at this time, is the fact that Iwerks has been lured away by film distributor Pat Powers. Powers wants Iwerks to start an animation studio of his own. Meanwhile Walt is in New York actually confronting Powers over royalty money for Mickey shorts due to the Disney Studios! Animator Ollie Johnston is hired at $17 a week by the Disney Studio. 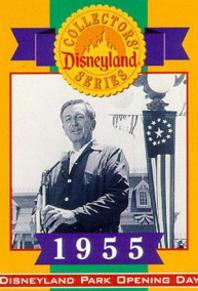 He will start work 2 days later as an in-betweener and eventually go on to become one of Walt's "Nine Old Men". The Dairy Bar in Tomorrowland, sponsored by The American Dairy Association, opens in Disneyland. It features exhibits about farming techniques of the future, the prospect of flying milkmen delivering milk straight to the front door and how happy, contented cows produce better milk. Guests can also enjoy an ice-cold glass of the milk "at the bar." The Three Musketeers, a 1993 version of the classic story from Walt Disney Pictures and Caravan Pictures. Disney's animated short Goliath II is released. It is the first Disney film to be fully animated using the new Xerox process for transferring the pencil drawings to cels (a few scenes of Sleeping Beauty had also used this technique). Narrated by Sterling Holloway, Goliath II tells the story of a miniature elephant who tries everything to impress his father, the biggest elephant of them all. It will earn an Academy Award nomination. airs part 1 of "Sancho, the Homing Steer." "Disneyland: From the Pirates of the Caribbean to the World of Tomorrow" airs on the NBC-TV series Walt Disney's Wonderful World of Color. The television special "Fifty Happy Years" (to commemorate the fiftieth anniversary of The Walt Disney Company) airs. The All New Mickey Mouse Club, is born in Ontario, Canada. his role in Ed Wood. Tim Allen is awarded Best Lead Actor - Comedy or Musical Series for his Home Improvement. many dangers facing the environment, as well as people's responsibility for preserving it. since 1955) closes permanently. Now most guests will park in a massive new parking structure. Due to rotting wood, the original entrance of the Enchanted Tiki Room at Disneyland is removed. Disney releases 101 Dalmatians II - Patch's London Adventure to home video and DVD. It features the voices of Barry Bostwick, Jason Alexander, and Martin Short. New Kids on the Block at Walt Disney World - Wildest Dreams. daughter switch personalities on Friday the 13th and get a taste of what each others lives are like. The fifth episode of The New Mickey Mouse Club airs for the first time. Jamul, California, perform and Goofy stars in the Mousekartoon all about the art of dancing, How to Dance. Curtis and a coherent Lindsay Lohan. Golden Globe Awards, Toy Story is edged out by Babe. "Colors of the Wind,"
Picture (beating out Randy Newman's "You Got a Friend in Me" from Toy Story). At the Golden Globe Awards, "My Funny Friend and Me" (written by Sting & David Hartley for The Emperor's New Groove) loses to Bob Dylan's "Things Have Changed" (from Wonder Boys) for Best Original Song - Motion Picture. world (to mark the park's 5th anniversary), led by Chief Imagineer Steve Davidson. Resort's 5th year milestone, begins. The 964-foot-long Disney Wonder arrives at its new home the Port of Los Angeles. to the Mexican Riviera through April. It will then reposition to Vancouver and sail to Alaska from May -September. Florida with a check for $750,000 to kick off a two-night "Benefit Preview Cruise"
aboard the newest ship the Disney Dream. visiting Disney World along with their son and daughter, played by Ricky Schroder and Dana Plato. This day's Official Bulletin of the New York World's Fair (Vol. 2, No. 1) states that "the Ford Motor Company is revealing exterior design and architectural styling features for its pavilion at the Fair." The article goes on to explain that the Ford Pavilion's show, exhibit and entertainment features, including the ride fantasy, are being created by Walt Disney and designed by W.E.D. Enterprises, Inc.
take part in "Long Lost Friends Week." Hollywood's Walk of Fame the following day (January 22). Her star will be unveiled at 11:30 a.m.
in celebration of her 90th anniversary.